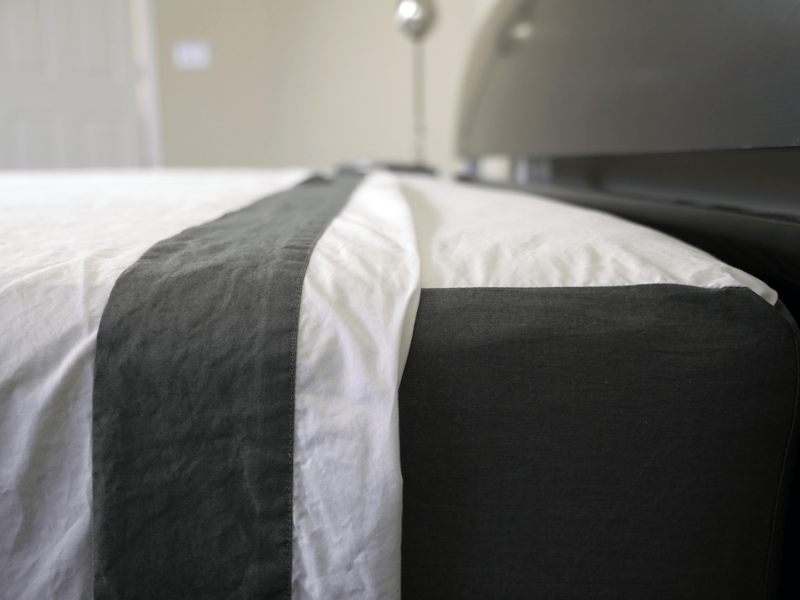 Home » What Are the Best Sheets for Memory Foam Mattresses? Last year, over $100 million was spent on memory foam mattresses. Although this is only a small portion of an almost $7 billion industry, it’s estimated that the market for memory foam will only continue to grow, especially as more people learn about their options beyond the traditional innerspring mattress. 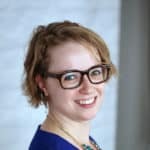 Any time a new version of a familiar product is introduced, there’s a degree of education that needs to occur so that consumers who were used to the old product understand the ways in which the new one functions differently. When memory foam mattresses first appeared on the market, consumers were inclined to treat them the same way they had every mattress they’d had before, especially when it came to linens. And if you’ve heard an unhappy memory foam mattress owner complain that their beds are too hot, or that their sheets won’t stay in place, then you’ve probably been talking to someone who didn’t buy the right sheets. Memory foam mattresses are frequently deeper than innerspring mattresses—and unlike innerspring mattresses, memory foam mattresses also trap body heat. 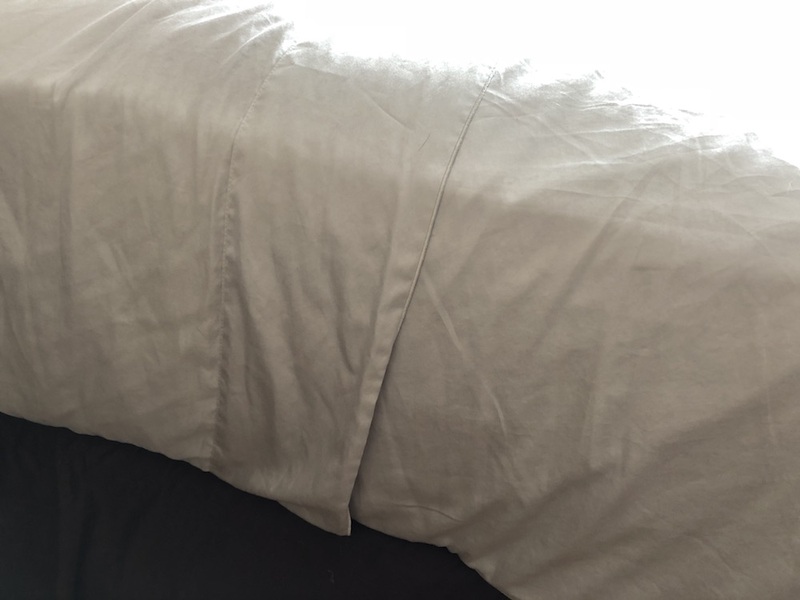 Using your existing sheets or not paying attention to make sure you purchased deep-pocket fitted sheets may be setting yourself up for failure, as the sheets just won’t stay tightly wrapped around your mattress. You also have to be careful about the textiles you select. Making your memory foam bed up with flannel or microfiber sheets, or synthetic sheets with a high proportion of petroleum-based synthetic fibers, might sound cozy, but you’ll probably wake up in the middle of the night with night sweats. Instead, a set of simple but high-quality 100% cotton percale or sateen sheets (percale will be more breathable on memory foam but some people have a strong preference for sateen) that haven’t been heavily processed will make for a much more comfortable night’s sleep. So if you’re thinking of making the switch to memory foam, or you already have but you’re not happy with your current bedding, it’s time to get some new linens. So what are the best sheets for memory foam mattresses? A few of the standouts are below. The Casper Sheets: Casper might be the most recognizable name in the direct-to-consumer memory foam mattress game, so in some ways it’s fallen on them to convince shoppers that, no, you don’t have to be hot if you’re sleeping on memory foam. Smartly, one of the ways they’re able to back up their argument is through the production and sale of their own sheets. These percale-woven cotton sheets 100% long-staple Supima are not only made to be breathable, but to last and even to improve over time. Many other mattress manufacturers also make their own sheets, but Casper tops our list because it was one of the first, and also because a partnership with Target means its sheets are amongst the easiest to find. 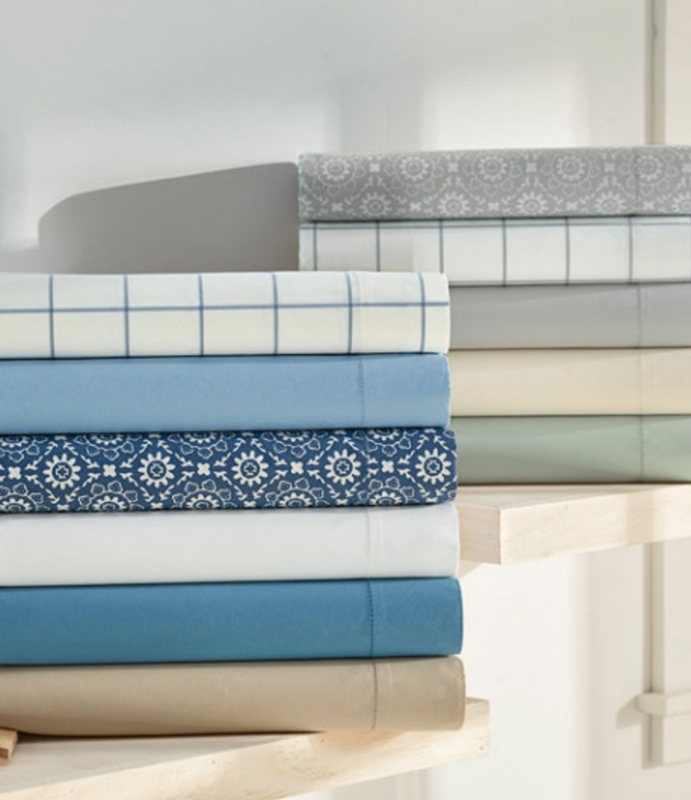 Wright Bedding American Cotton Sheet Set: These 100% American-made, American-sourced sheets are remarkably lightweight, and they get softer with every wash, making for a perfect bedding set for people who worry they’re sleeping too hot on memory foam. 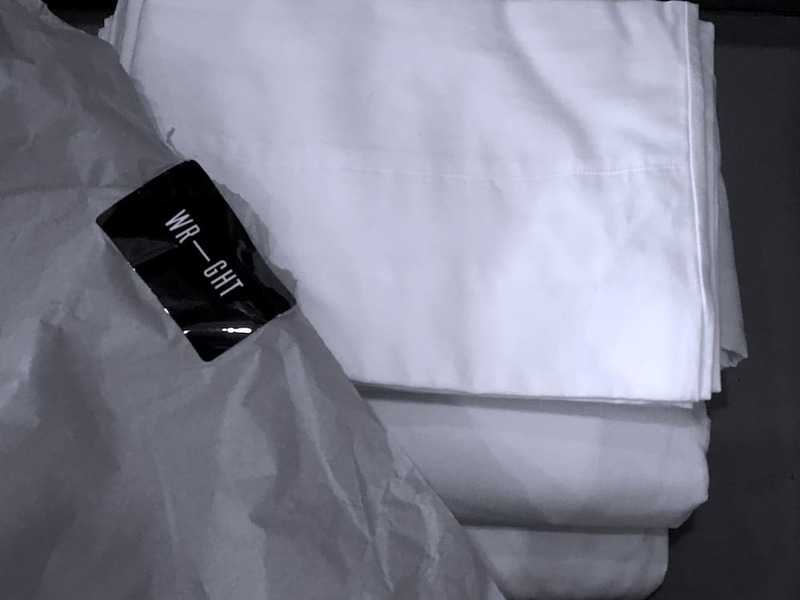 Plus, Wright cuts its flat sheet so generously that at first we thought they’d sent us a king-sized sheet in our a queen-sized set by mistake—meaning that you can get a cozy, hotel-style tuck around your bed, even with the deepest of memory foam mattresses. L.L.Bean’s 280-Thread-Count Pima Cotton Percale Sheet Set: The favorite percale sheets of the Wirecutter review staff for four years running, these sheets might not come from one of the high-profile bedding start-ups, L.L.Bean has been in business for over a century, so clearly they know their stuff. Crisp, breathable, and slightly cheaper than their high-end competitors, these sheets will let you sleep comfortably and cooly on your memory foam mattress. Dreamz 400 Thread Count Specialty Size Sheet Set for Memory Foam Mattresses: As mentioned above, percale might be a better option for memory foam beds, but it’s definitely not the only option. Dreamz makes its affordable sateen sheet set especially for memory foam mattresses, promising that the sheets are a dream come true in terms of both fit and comfort. 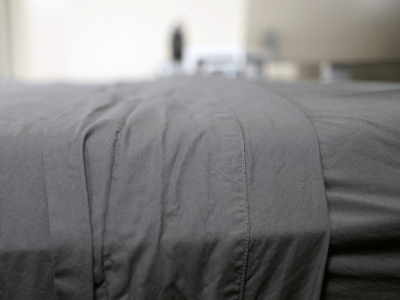 Parachute Percale or Sateen Sheet Sets: Parachute does a lot of advertising about how great its sheets are, and we can tell you first hand that they’re being honest. 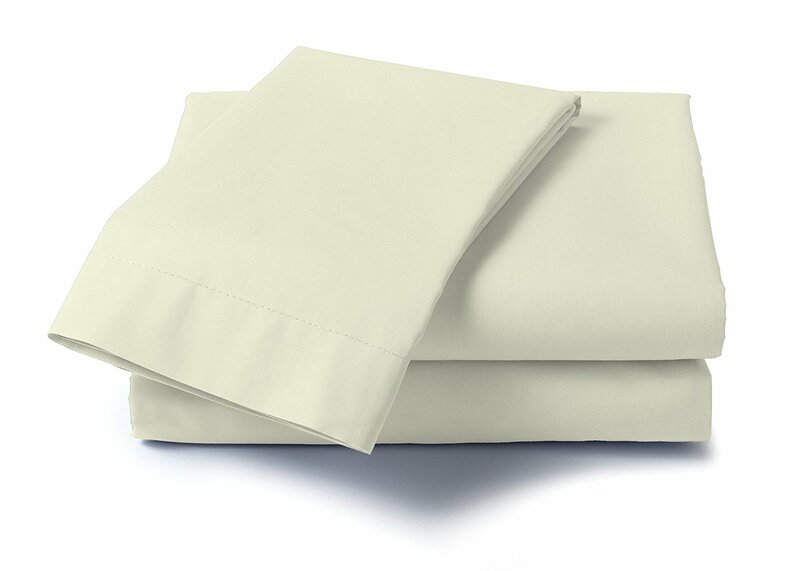 The percale sheets sleep cool, and even the sateen sheets are lightweight enough that hot sleepers can probably slumber comfortably in all but the warmest conditions, plus their deep-pocket fitted sheet and generously cut flat sheet are big enough for a deep memory foam mattress without any overnight slippage. Those who elect to add a top sheet to their Parachute orders will be pleased to learn that the sheets are wide enough to tuck around an extra-deep mattress, for a cozy hotel feel. If you’ve been hesitating to buy a memory foam mattress or thinking about returning your memory foam mattress because you’re worried about sleeping hot and poorly-sized sheets, have no fear! There are lots of great bedding options out there for memory foam—you just have to be willing to get new bedding to maximize comfort. My issue with my memory foam mattress and sheets that I bought are that the sheets are too big.. any chance there are these great sheets for memory foam that aren’t as big as the deep pocket fitting ones? What about cotton jersey sheets?